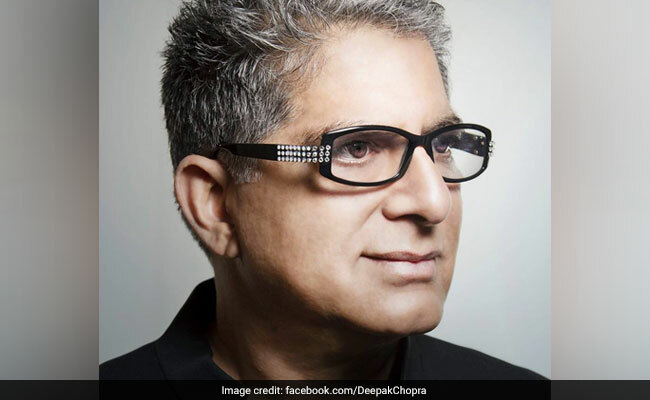 It turns out the Deepak Chopra of gadgets is Deepak Chopra. Chopra, a physician and celebrity wellness adviser, is known for promoting the benefits of meditation - clearing the distractions that clutter the mind. Now he's become a gadget guy, embracing the industry many think is making us less healthy and less happy. We've met to walk the halls of CES, the tech industry's largest annual trade show. It's the most-connected, most-surveilled, most-overstimulated place on earth. I had expected Chopra would take one look at me, a tech journalist, and recommend unplugging - perhaps long walks on the beach, or moving to a yurt. "I'm an optimist by nature, OK, so that includes technology," he says. He recalls his first high-tech encounter, when he was introduced to a television upon coming to the U.S. in 1970. "In color, with a remote control - it blew my mind," he says. "The first time I saw a fax machine, I couldn't believe it. Somebody told me, You know you're going to have video fax in the future. I said no." Indeed, that terrifies many, I respond - perhaps that 2-year-old should have been outdoors, playing with wooden blocks. "Why can't the kid do both?" he says. "You know, the fact is, every time a new development happens, there's a school of thought that this is going to ruin humanity."